One of our most popular shop samples is Colour Affection by Veera Välimäki (pattern available to buy on Ravelry). Originally knitted in 3 shades of Rialto Lace. 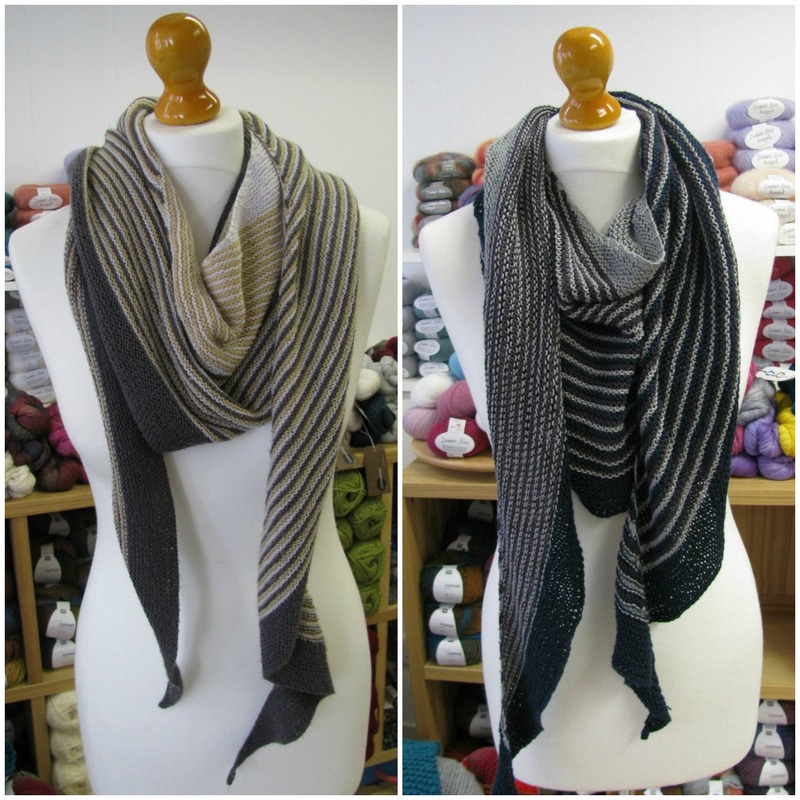 We love it so much - a versatile shape, gorgeous stripes and mindless knitting* that we've each made our own version. Karen has made her Colour Affection in Rialto Lace, Fiona in our new Rowan Summerlite 4ply Cotton. Whilst Karen had the beautiful blocking qualities of a 100% merino laceweight, Fiona was alot more cautious not too over block the cotton (which has no memory - once stretched it ain't going back). But this cotton is so soft... even after washing. It drapes so well that we can forgive it's lack of elasticity. Pattern available to buy online, yarn is in the shop and the scarves are around our necks! Oh! and we've just unpacked a brand new 4ply that would be lovely as a Colour Affection... Juniper Moon Herriot Fine in 7 shades in the shop... lush!